Clearfield Borough is close to an agreement for the development of the riverfront project. 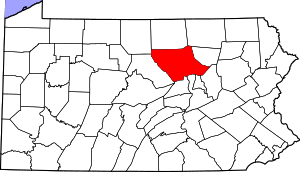 At last night’s borough council meeting, borough Solicitor F. Cortez Bell III reported the borough is close to coming to an agreement with the Clearfield County Economic Development Corp. for it to become the developer of the project. The borough has received a $5 million Redevelopment Capital Assistance grant from the state to develop commercial and residential properties and a riverwalk between the Nichols Street and Market Street bridges in downtown Clearfield. 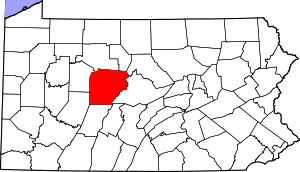 Dollar General Corp., a national retailer with more than 10,000 stores, will locate its new distribution center in northwest Berks County, creating more than 500 new jobs and an additional 75 indirect trucking jobs, Gov. Tom Corbett announced today. Dollar General will build a $100 million, 900,000-square-foot distribution center in Berks Park 78, a new industrial park in Bethel Township. WILLIAMSPORT, Pa. (AP) – Transportation officials say an airport serving north-central Pennsylvania will undergo a $13 million expansion. Officials say passenger traffic the Williamsport Regional Airport has grown 19 percent over the past two years, due in part to the gas drilling boom. Airport executive director Tom Hart said in a statement Thursday that plans include a new control tower and new passenger terminal. Editor’s note: This is good news for Pennsylvania‘s many small breweries! Customers can already purchase wine at some farmers markets, and they could add craft beer to their shopping lists under a proposal in the state House. Sponsored by Rep. Dante Santoni Jr., a Reading Democrat, the bill would allow craft breweries to offer tastings and sell up to two six-packs at farmers markets and food expos. The move could help craft brewers grow their business, Santoni said. Craft breweries are small, independent operations that produce much less beer than big-name breweries.